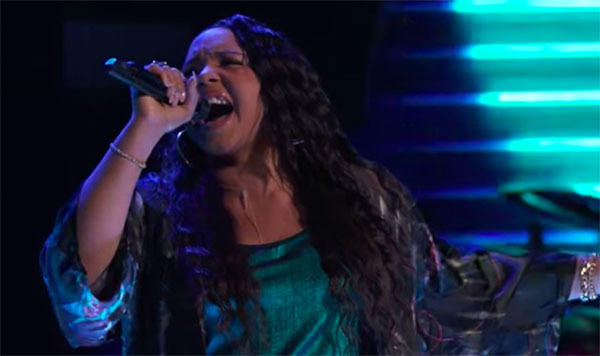 Sharane Calister sings her cover of “Make It Rain” on The Voice Season 14 Blind Audition, Tuesday, March 13, 2018. “I turned around because it’s disrespectful for a someone who has that kind of talent,” said Alicia Keys. “That was powerful. Your voice sounded like perfection. The low notes was passion and genuine and the high notes.. it was like bang,” said Alicia Keys. Who Sharane Calister pick as her coach? Tune in tonight to find out.